Amid the turmoil of pre-war Austria, a young Chinese consul-general in Vienna risked his life and career to help perhaps tens of thousands of Jews escape vicious Nazi persecution and the horror of the Holocaust. Ho Fengshan is one of the unsung heroes of World War II - and the 20th Century - and this self-effacing man's story is only just coming to light. Ho may have been responsible for saving the lives of more European Jews than any other single individual. An exhibition at the United Nations in New York in April, to be attended by Secretary-General Kofi Annan, will honour Ho and other diplomats who saved Jews in similar ways during the war. His family has nominated him for the status of "righteous among the nations", an award bestowed by Jerusalem on non-Jews who helped Jews at the risk of their own lives. It is Israel's highest civil award. Those chosen are remembered in the Yad Vashem museum of the Holocaust in Jerusalem. Ho headed China's mission in Vienna from May 1938 to May 1940. He gave visas to Jews in defiance of the orders of his government and the opposition of the Nazis, who closed his consulate. At the time, Jews in Austria were trapped and at the mercy of the Nazi purges unless they had a visa for a specific country. Ho gave them visas for China - their ticket to freedom. But most went elsewhere - to Portugal, Cuba, North and South America, Palestine, the Philippines and Australia. Ho started his career as a diplomat in the foreign ministry of the Nationalist government in 1935, after obtaining a doctorate in political economics at the University of Munich in 1932. Fluent in German and English, he was sent as a secretary to the Chinese embassy in Vienna in 1937. In March 1938, Adolf Hitler's army annexed Austria. It threw Jews there into panic. At that time, Austria had the third largest Jewish population in Europe, and 90 per cent of them were in the capital. In May, the Chinese embassy was replaced with a consulate, and Ho was appointed consul-general with one assistant. He was 37. Ho and the rest of the diplomatic corps were invited to meet Hitler. The new consul-general recorded his impressions of the Nazi leader in his memoirs: "He was a short little man. He had a ridiculous mustache. He was an unspeakable martinet." These in themselves are extraordinary. His daughter Ho Manli, who lives in San Francisco, told the Post by telephone that her father rarely spoke of his time in Austria, but in the 1980s, when he was in his 80s, he decided to write a book. Published in 1990, My 40 Years Of Diplomatic Life is 290 pages long - but only 10 cover this tense time during the war. And tense it was. With the Anschluss, anti-Semitism erupted in full force. Nazis vandalised Jewish-owned businesses, arrested their owners, and confiscated their homes and properties. The Jews searched desperately among Vienna's foreign missions for a diplomat who was prepared to give them a visa. Almost all refused, on orders from their governments, which were unwilling to offend the Nazi government. Ho wrote: "Since the annexation of Austria by Germany, the persecution of the Jews by Hitler's 'devils' became increasingly fierce. The fate of Austrian Jews was tragic, persecution a daily occurrence. There were American religious and charitable organisations which were urgently trying to save the Jews. I secretly kept in close contact with these organisations. I spared no effort in using any means possible. Innumerable Jews were thus saved." Many Jews in Austria were high in society and Ho would have known many personally. He decided to give a visa to any and all Jews who applied for one. The news spread quickly and hundreds queued up outside the consulate from morning to night. The Chinese ambassador to Berlin, Chen Jie, soon learned of this. He telephoned Ho and ordered him to stop at once to preserve the good relations between the Nazis and the Nationalists. Generalissimo Chiang Kai-shek, the president of the time, was close to the German government. He used German military advisers and weapons and had sent his younger son, Wei-guo, to be trained by the Nazis. Wei-guo became a second-lieutenant in the German 98th Jaeger Regiment and took part in the Austrian Anschluss before returning to China. Ho disobeyed his ambassador. Chen sent a subordinate to Vienna to investigate whether Ho was being paid for the visas. The officer could find no evidence of bribery. Life became more tense, and Ho more involved as the suffering deepened. He saw first-hand the pogrom in Germany and Austria known as Kristallnacht (the night of broken glass) on November 9-10, 1938, when more than 200 synagogues were destroyed, 7,500 Jewish shops looted and 30,000 Jews sent to concentration camps. 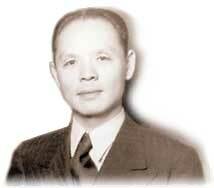 On the morning of November 10, Ho went to the home of one Jewish family to whom he had given visas, to see them off. The Gestapo had arrested the father of the household. Ho confronted the officers, who pulled a gun on him. There was a tense face-off before the Gestapo backed down, realising Ho was a diplomat who issued valid visas. They allowed the family to leave for Shanghai. But in early 1939, the Nazis confiscated Ho's consulate. They said that it belonged to a Jew. He asked his government for relocation funds, but it refused, saying China was at war with Japan and no funds were available. Unperturbed, Ho rented smaller facilities at his own expense, and reopened the consulate. It is not clear how many visas Ho had issued by the time he left Vienna in May 1940, but anecdotal evidence suggests many thousands: by October 1938, only five months after Ho had arrived, he had issued 1,900 visas. Then came Kristallnacht, and persecution intensified. By the time war broke out in September 1939, almost 70 per cent of the 185,246 Jews registered in Austria had emigrated. And more than 18,000 European Jewish refugees had arrived in Shanghai. But how many of those left with visas issued by Ho? His daughter, Ho Manli, says: "We do not know the exact number. No one will ever know." Dr Eric Saul, a professor of Jewish history, says that since Ho was the principal source of all exit visas, a large proportion must have been given by him to Jews. Despite his refusal to obey orders during his time in Vienna, Ho does not appear to have been treated badly - at least initially - on his return. In May 1940, Ho was transferred for one year to New York, where he did political analysis, before returning to China's wartime capital of Chongqing to help in the war effort against Japan. In 1941, when the US entered the war, China broke off relations with Germany and closed its consulate in Vienna. In the interim, little is known about Ho until 1947, when he began a nine-year tenure as ambassador to Cairo and seven other Middle Eastern countries. In 1949, when the Chinese civil war ended in a communist victory, Ho chose to remain loyal to the Nationalists, who fled to Taiwan. His subsequent postings were as ambassador for the Kuomintang to Mexico, Bolivia, and Colombia. He retired in 1973 to California, where he died on September 28, 1997, at the age of 96. He was never reunited with any of the people he had helped. Despite many years of service to his government, Ho was denied a pension by the Nationalists over an accusation that he could not account for US$200 of embassy expenses, his daughter says. Ms Ho believes the continuing slur was for a "political vendetta" because Ho had offended one of Chiang's sons, Ching-kuo, and not because of his actions in Vienna. "The government was not happy with what he did but it was involved then in a war with Japan and later the civil war," she says. When Ho died, Taipei was not represented at his funeral - yet Beijing's consulate in San Francisco sent a wreath. Because Ho had talked so little about the events in Vienna, the public knew nothing of his involvement. After his death, his daughter posted an obituary in a newspaper, with one line about her father's work in Vienna. This attracted the attention of Dr Saul, who embarked on the painstaking work of collecting evidence from those who had received visas from Ho and from their descendants. What motivated Ho to do what he did? "He was generous in nature," Ms Ho says. "To help other people was very natural. From a humanitarian point of view, it was what you should do. There was nothing much to say. "When he talked about it, he mentioned two things most: one was that when Hitler entered Vienna he was welcomed by people lining the streets. He [Ho] was disgusted to see this. The other was Kristallnacht, which he witnessed . . . firsthand, one atrocity after another." But Ho was also deeply religious, beliefs instilled by Norwegian Lutherans who raised him after his father died and left his family destitute.